If you possess a particular desire to drive the smallest production car available in America, this is the car for you. 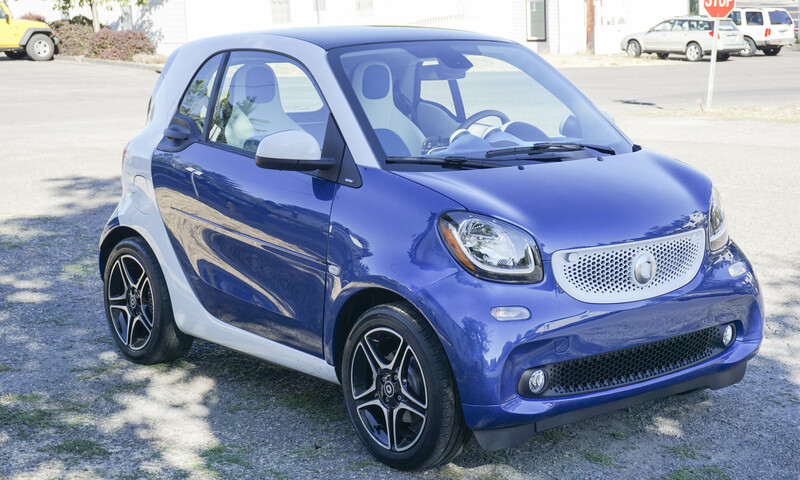 To put things in perspective, the smart fortwo is a mere 8.8 feet long, which makes it about four feet shorter than the MINI Cooper. Redesigned for the first time since its arrival on U.S roads in 2008, the 2-seat coupe has been revamped inside and out. So is the new version better than the outgoing model? Absolutely. But do the benefits of this tiny car — especially in a city environment — outweigh the sacrifices in space and performance? That answer may depend on your priorities, so let’s dig into the details and you can decide if the new fortwo is right for you. 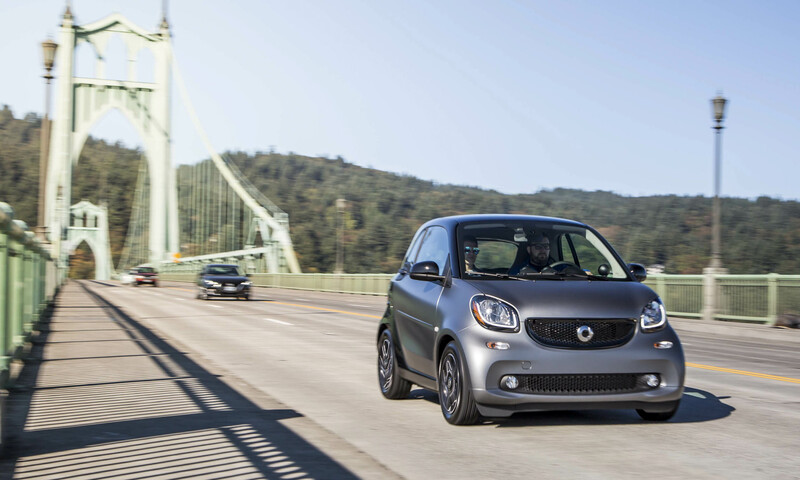 One look confirms there really isn’t anything else on the road quite like the smart fortwo. 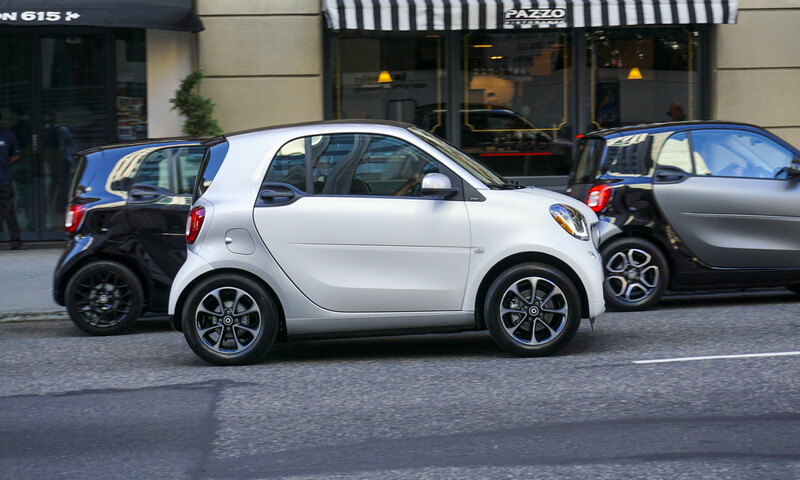 As the head of smart Annette Winkler told us, “our customers just want to be different.” Not only is the fortwo the smallest car, it stands out with a rear-engine, rear-wheel drive configuration. Also unusual are the plastic body panels which mean no door dings or rust and (relatively) easy replacement. While the body panels are light and flexible, the frame of the passenger compartment is a “tridion safety cell” made up of ultra-high-strength steel. 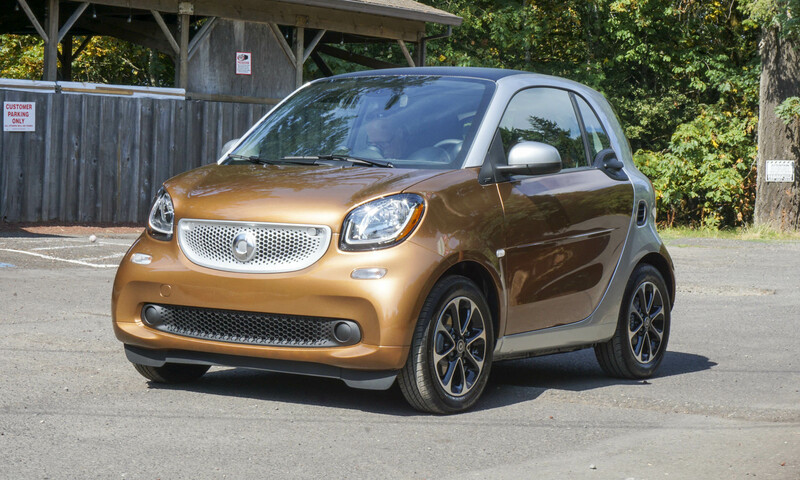 The fortwo gets all-new styling for the 2016 model year, and with its wider stance, updated grille and headlights we think it looks much more substantial than the outgoing model — not as toylike, so to speak. 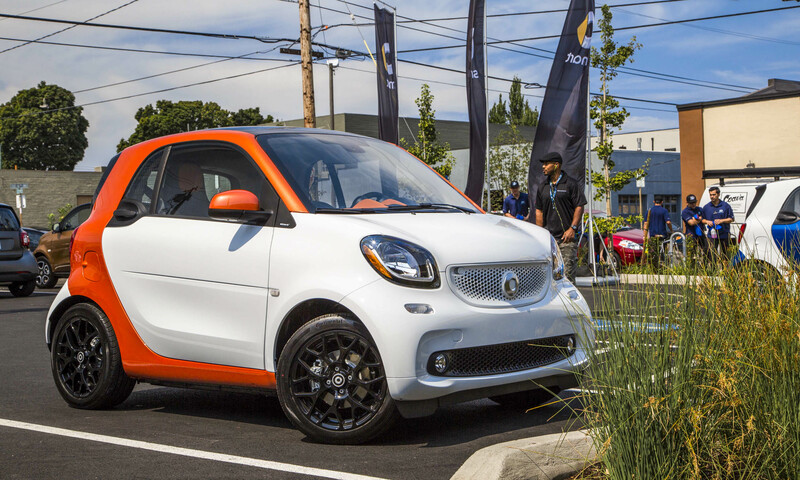 The 2016 smart fortwo is available in five different trim levels, including a limited-edition launch version. The “pure” is the most basic version and has a starting price of $14,650. 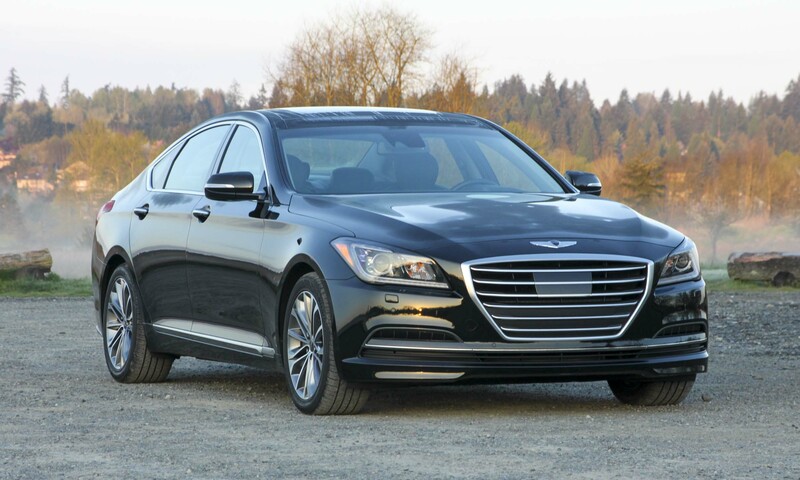 For that price you get features such as Bluetooth connectivity including audio streaming, LED daytime running lights, cruise control, an alarm system, automatic climate control and 15-inch steel wheels. 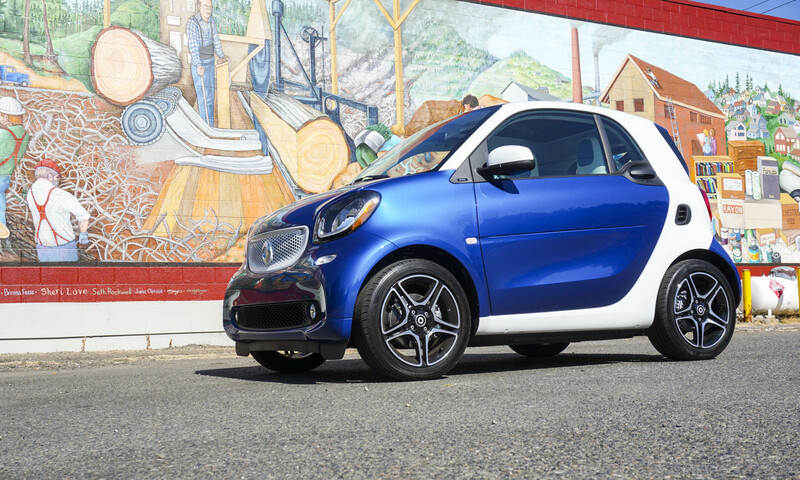 The fortwo passion adds $1,490 to the price. For the additional green, the car comes standard with a height-adjustable driver’s seat, a retractable cargo cover, heated mirrors, 15-inch 8-spoke light alloy wheels and black trim on the grille, mirror caps and tridion cell. Inside, the seats can match the exterior color if so desired, as can the dashboard and door center panels. A step above the passion is the fortwo prime. With this upgrade you get black leather seats with contrasting stitching, heated seats, panorama sunroof, fog lamps and 15-inch light alloy wheels. The grille, mirror caps and tridion shell are painted silver. The Prime starts at $17,490. 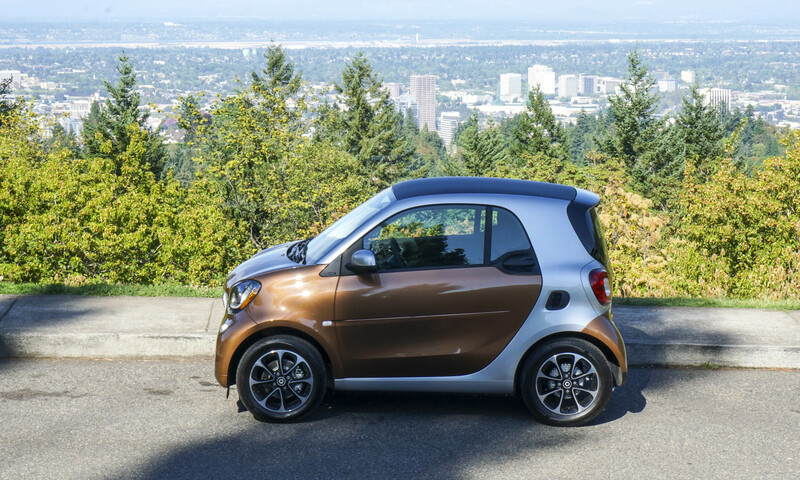 The top-level trim of the fortwo is the oddly-named proxy. Priced at $18,480, the proxy stands out from the crowd with a unique blue and white interior (to match the blue and white exterior) and is well equipped with a JBL sound system, aluminum pedals, shift paddles, lowered suspension and 16-inch light alloy wheels. For those who don’t think the fortwo is noticeable enough on its own, there is the limited-availability Edition #1 package that can be added to the fortwo passion for an additional $1,200. Only one color combination is available — white body panels, white grille and an orange tridion cell. Inside are black/orange fabric seats and some additional features including a panoramic roof, sport package and unique floor mats. For the fortwo, “under the hood” is actually under the cargo area. 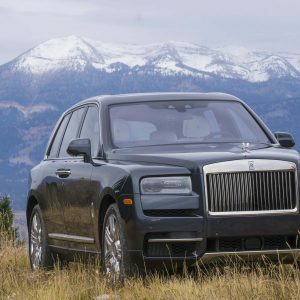 In this space resides a tiny 898cc turbocharged 3-cylinder engine producing 89 horsepower — an impressive jump from the 70 horsepower of the outgoing version. Maximum torque of 100 lb-ft is available at 2500 rpm. Power doesn’t have far to go since it’s directed to the rear wheels — unusual in a car this size. 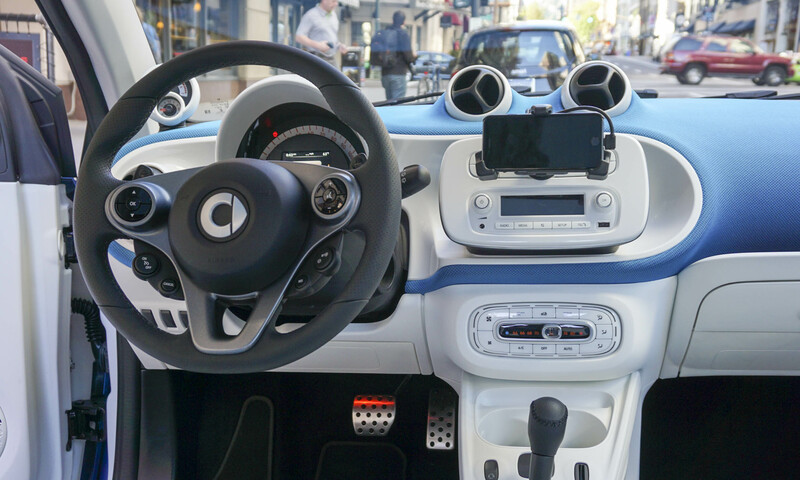 As expected, with more power comes better acceleration: the fortwo can reach 60 mph in 10.1 seconds with the manual transmission — by no means quick, but still better than the outgoing model’s 12.8 seconds. 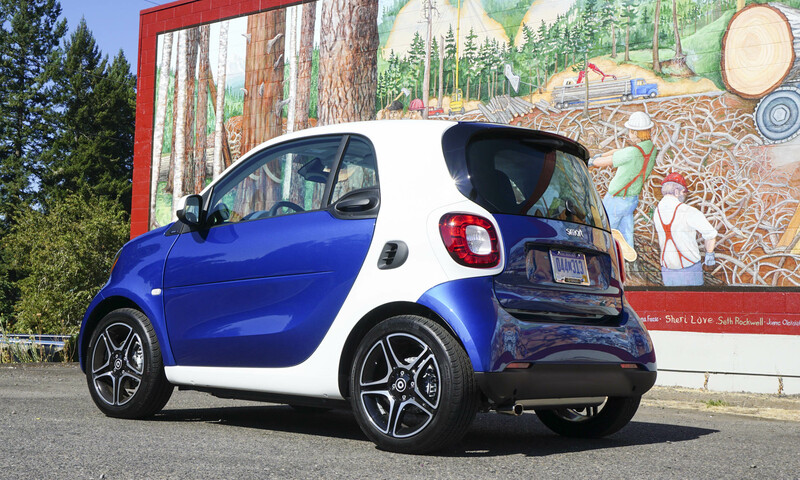 A 5-speed manual transmission is standard on the fortwo. For an additional $990, buyers can opt for a new twinamic 6-speed dual clutch transmission. 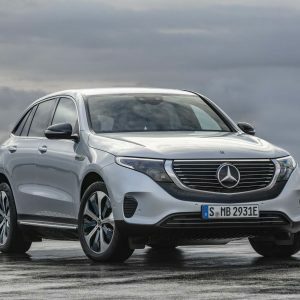 The new dual-clutch transmission is a huge improvement over the “automated manual” of the previous generation, affording much smoother shifting. 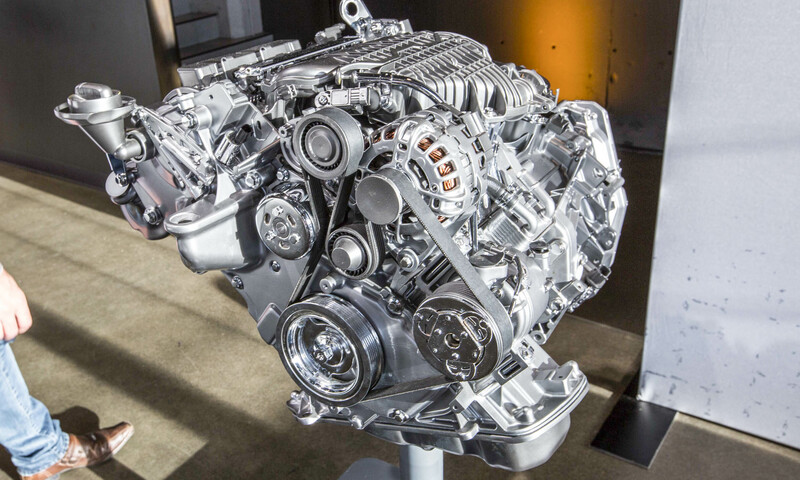 Fuel economy is rated at 33 mpg city / 39 mpg hwy / 36 mpg combined with the dual-clutch transmission — slightly lower city mpg with the manual. In our short time with the fortwo, we saw a less impressive 23 mpg in hard city driving with 35 mpg during highway driving. In our opinion, a car this small should be returning unmatched fuel economy; although the numbers are good, they are not much better than cars with more space and better performance. 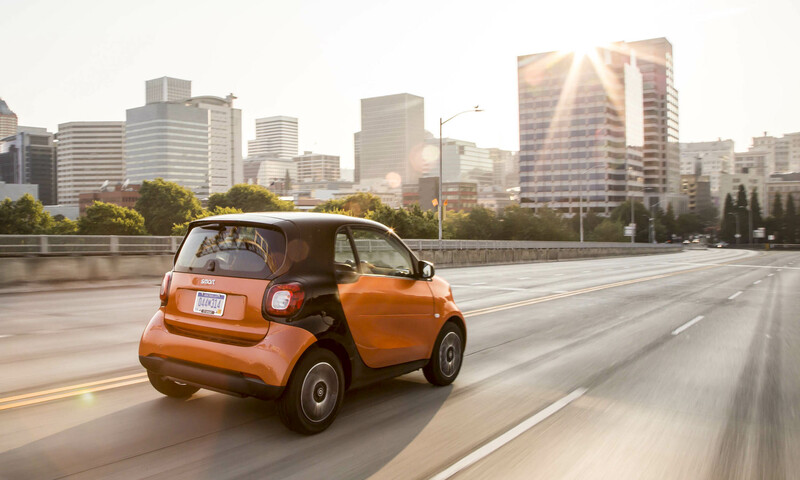 The fortwo has a tiny 7.6 gallon fuel tank which should provide an average range of approximately 275 miles. 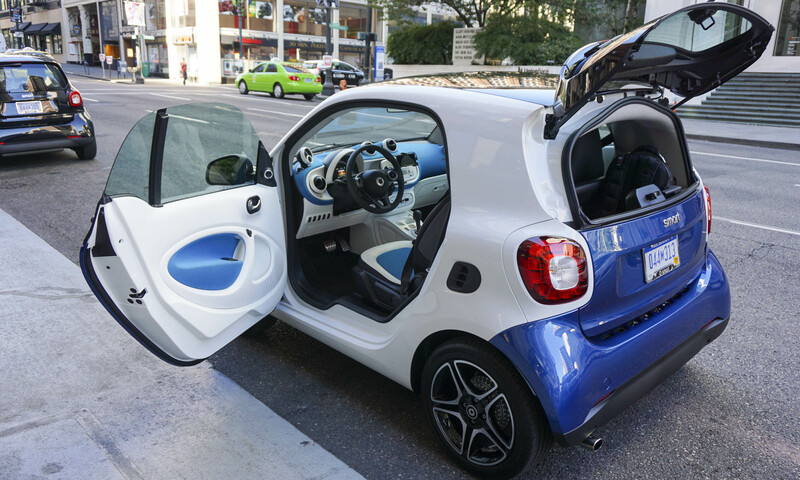 Thanks to a 4-inch increase in width, the fortwo is actually quite spacious inside. 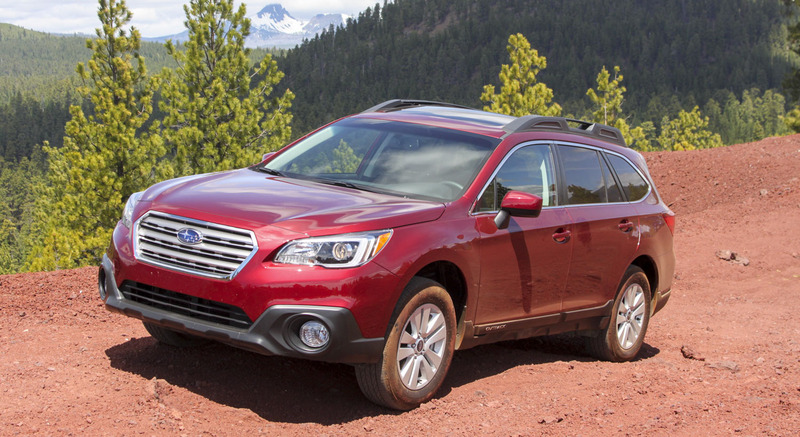 The new model has plenty of legroom and headroom, and the large doors make ingress and egress a breeze. A hidden cubby that slides out of the center console can hold small items, as can the tiny glovebox. Available seatback nets can provide additional storage. The doors have large bottle holders; however, the three cupholders (two in front, one behind between the seats) are quite small. Unfortunately there is no place to rest a phone in the center console. 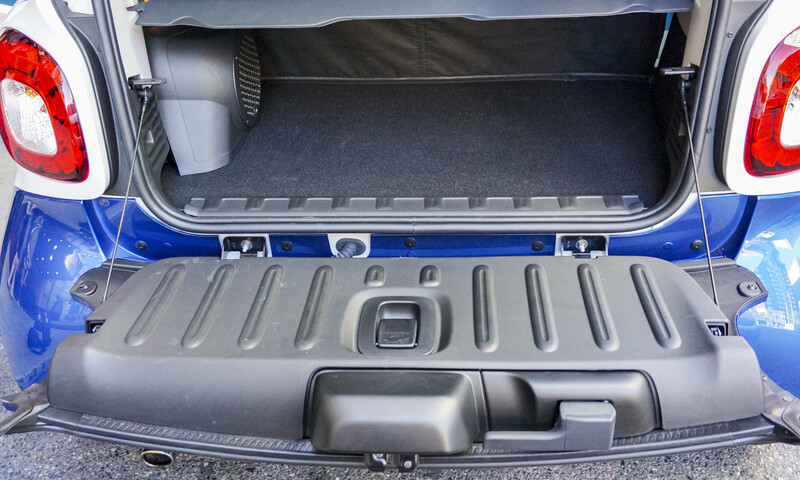 Cargo area is reasonable for three or four grocery bags or a couple small pieces of luggage, but not much else. The rear hatch makes loading easy — the glass window can be opened separately and the lower section opens as a load-bearing tailgate. There is additional storage in the tailgate itself. Smart has developed a smartphone app (Android and iPhone) that allows the driver to replace the radio controls with the phone. 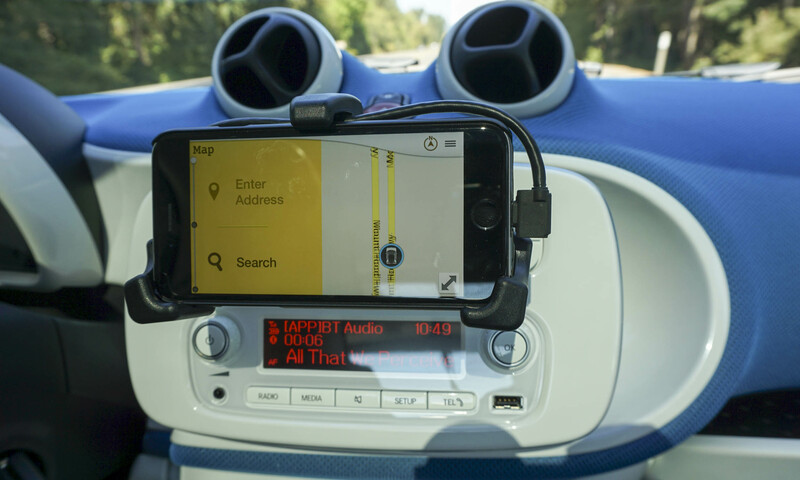 An integrated mount puts the phone over the radio and connects to the car via Bluetooth. The app considerably enhances the car’s electronic offerings, providing easy access to navigation, vehicle information, radio control and other music services, all integrated with the vehicle. We tried out a beta version of the app; although the functionality seems useful, our installation was not quite ready for public consumption. The final version will be ready when the car goes on sale in September. 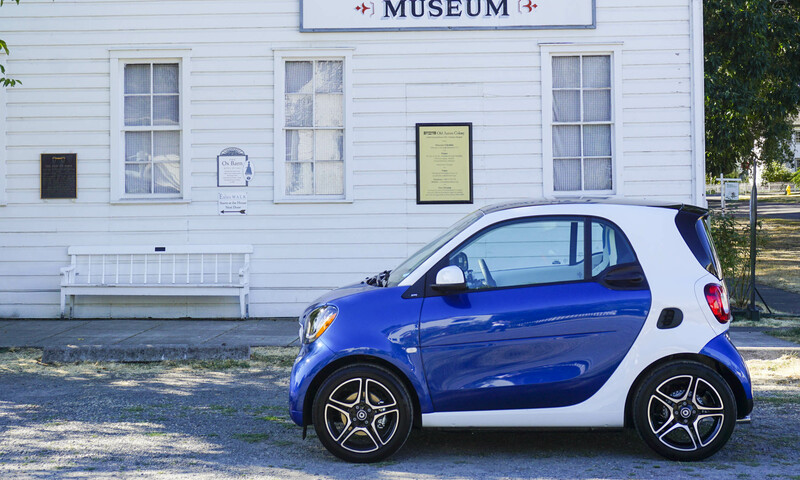 Taking the new fortwo out on the open road demonstrates the biggest improvements. 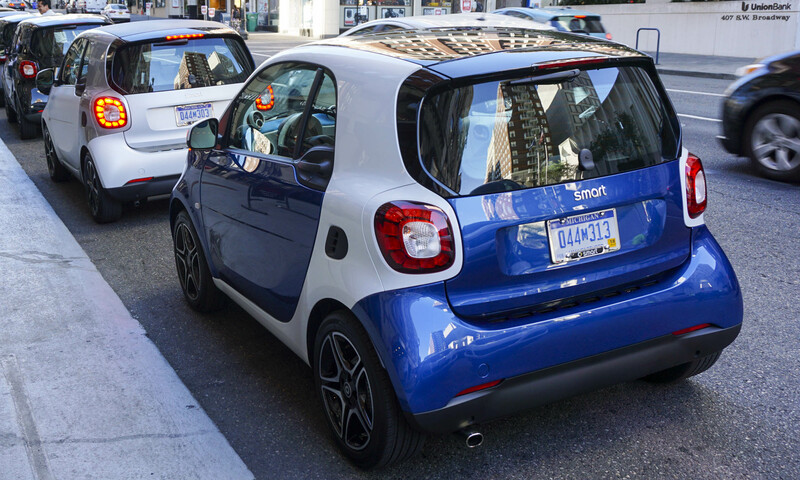 Probably most impressive is the smart car’s impressive maneuverability. The turning circle is a mere 22.8 feet — the smallest in the business. Making U-turns or parallel parking are incredibly easy — the circle is so tight that it feels like the car is spinning on its own axis. During our drive through downtown Portland, Oregon, we found this agility extremely useful. 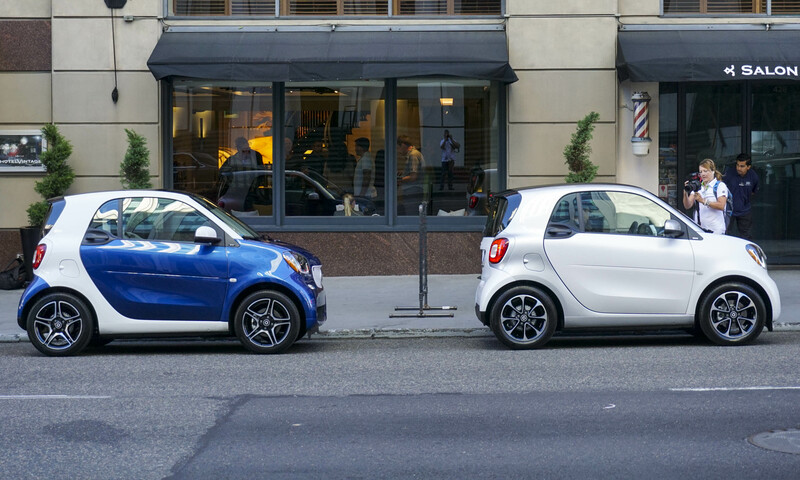 For us, it’s the biggest advantage the smart brings to the table. 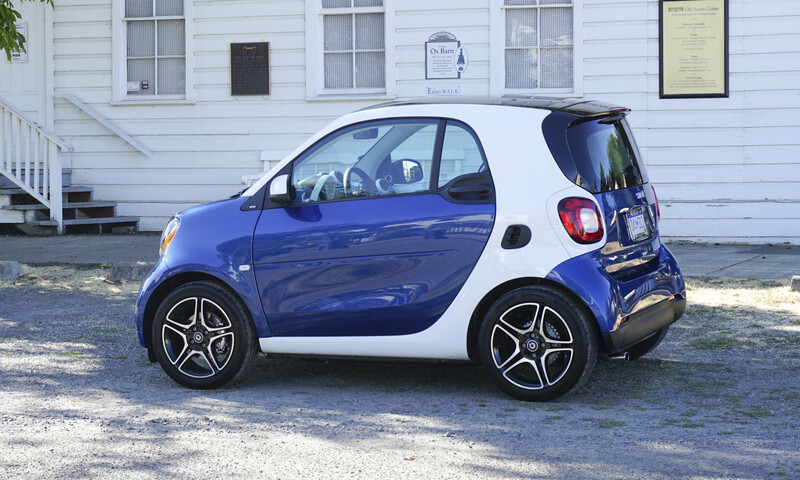 The earlier version of the smart car always felt a bit scary at highway speeds, but the wider chassis on the new smart fixes that issue. We were able to cruise at 70 mph without concern. Smart has equipped the fortwo with Crosswind Assist which helps keep the car in its lane when buffeted by passing big rigs or high winds. The fortwo is certainly not going to win any races, but the improved acceleration is admirable. Handling is also improved thanks to the wider stance, but it feels a bit top-heavy when entering corners quickly. 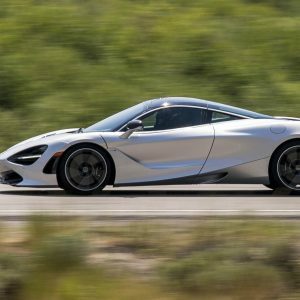 The new dual-clutch transmission provides smooth shifts once the car is moving; however, the ride is rough in stop-and-go traffic — the gears don’t seem to engage smoothly at slow speeds. Although the 2016 smart fortwo is a great improvement over its predecessor, it still only fits a specific type of driver. 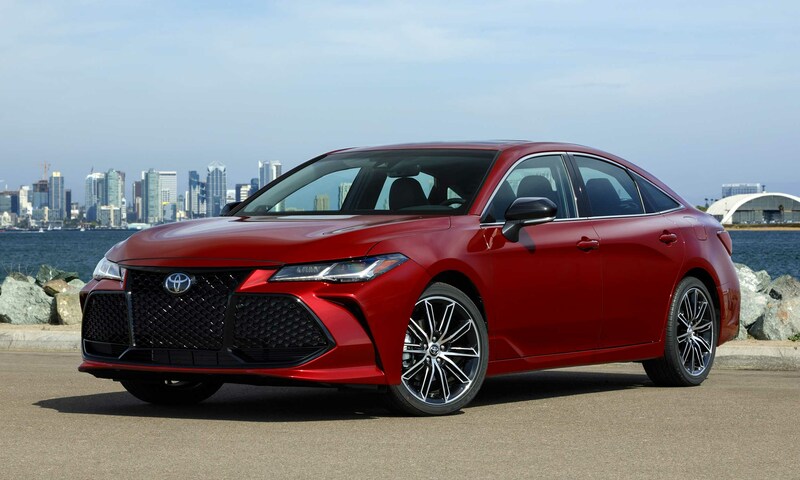 There are certainly more fuel-efficient vehicles on the market that offer up more usable space, better performance and more mainstream styling. 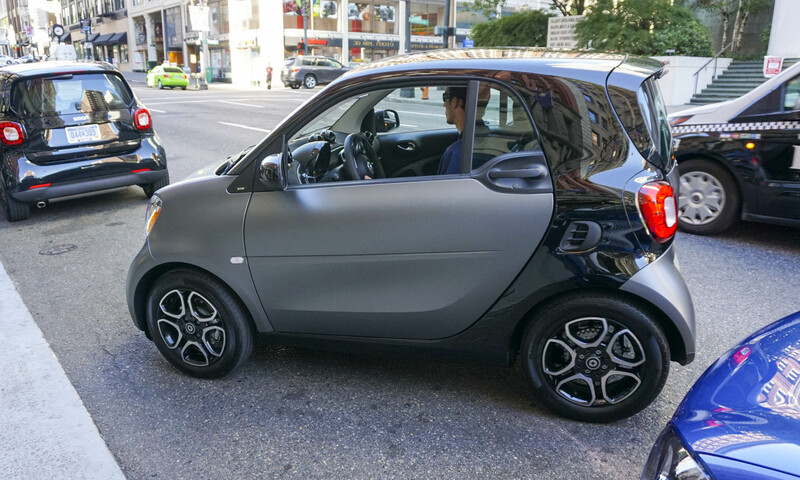 But for use in urban environments, there really isn’t another car on the market that can maneuver like the fortwo, and this little car will fit into just about any parking space you can find. So buying the fortwo just to save fuel doesn’t make a lot of sense; however, if size matters, the fortwo may be the perfect choice. 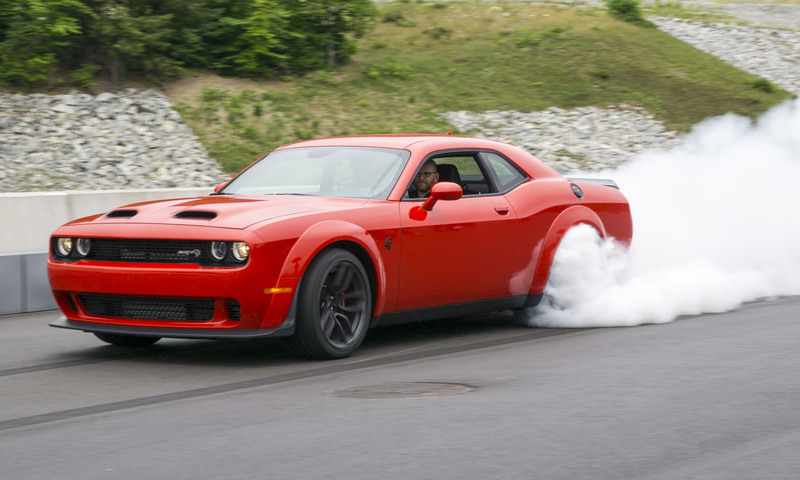 Bottom Line: The perfect car if size matters. Pros: Maneuverability, easy to park, cute styling. Cons: Limited cargo space, low performance, should get better fuel economy.